Relax, and converse into the night on the dayâ€™s events. If you’ve always been a lurker, stop leaving an Invisible Touch, why not Â start posting Tonight, Tonight, Tonight, your first post could be the genesis of something great. The round up of recent events. *I was raised on Spaghetti Westerns, any criticisms of Clint Eastwood will result in exile to conhome and/or some threads on AV over the weekend. Mike Smithson is currently on holiday. Henry G Manson asks could Cleggâ€™s wealth tax cause trouble for rival parties? It would be easy to dismiss Nick Cleggâ€™s demand for a new emergency tax on the wealthy as a gimmick that wonâ€™t last longer than the soggy sausage rolls of his party conference. Very easy. The detail isnâ€™t there, his partyâ€™s spokesmen are unaware of the what it involves yet and there is the uncomfortable fact that the he signed up to the cut in the top rate of income tax for those on Â£125,000 per year or more a matter of months ago. 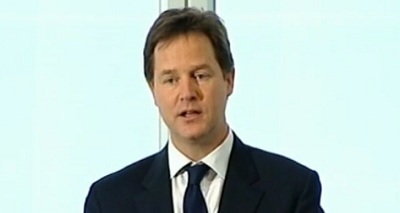 But to look no further than this risks missing the dangers for Cleggâ€™s rivals who have so far roundly mocked the idea. Equating hedge funds as the national interest is in itself aÂ risky move. Itâ€™s certainly not an industry the man on the street identifies with and feels warm towards. How many more will follow this line? The Adam Smith Institute has alsoÂ piled inÂ Â saying that not only are wealth taxes counterproductive they are also â€˜immoralâ€™. When the majority of people are having living standards squeezed it is understandable why the public want the rich to pay more tax. There are a few booby traps for the Conservative Party in this territory, not least given the background of their funders. Theyâ€™re right to highlight his support for cutting the top rate of income tax. Thatâ€™s fair game. However if the Jimmy Carr carry-on showed one thing it is how little â€˜incomeâ€™ wealthy people declare in the first place regardless of the tax rate. What if the Lib Dem leader proposes something bolder and far-reaching that shows signs of taking off? While Shadow Ministers might be happy taking pot-shots at Lib Dems, there will be others on the centre-left who welcome the move and debate.Â The New StatesmanÂ says Nick Clegg â€˜deserves a fair hearingâ€™ Â and there will be others too. There is bound to be some pressure on Labour’s leadership from the grassroots on the issue of wealth taxes. Labourâ€™s party members and the trade unions will welcome the richest paying a greater share and want Labour to be more robust and explicit on this.Â Ed Miliband has tried to break from â€˜New Labourâ€™ but there will be calls for more meat on the bone during the conference period. That isnâ€™t clear yet and therefore is a tough line to hold when criticising your opponents on this issue. I have no idea what will come of Nick Cleggâ€™s wealth tax plans. Perhaps he doesn’t either. It certainly feels like the last throw of a dice for a leader under increasing pressure. But thatâ€™s not to say the Liberal Democrat leader canâ€™t role a double six and outfox all his opponents on an issue the public will support him on. If you’ve always been a lurker, and if you’re “Making Your Mind Up” on whether to post or not, why not Â start posting tonight? Boris Johnson partakes in a Q&A, with some interesting questions and answers. Are we seeing the tectonic plates moving against Nick Clegg? This morning, Vince Cable’s outrider, Lord Oakeshott gave an interview on Radio Four’s Today show. Nick Clegg must go, warns senior Liberal Democrat,Â Nick Clegg must be ousted as leader by the Liberal Democrats if they are to avoid electoral disaster in 2015, a senior party figure indicated today. Some of the highlights of Lord Oakeshott’s interview. It was time to examine the party’s “strategy and management” to ensure it has a chance of success at the polls. As has noted been noted before, Vince Cable is popular with the electorate, whilst Nick Clegg is not. Perhaps I’m reading too much into Lord Oakeshott’s interview today, but he is close to Vince Cable, I suspect during the conference season we’ll get some polling asking if the Lib Dems would be polling better if Vince Cable was leader. 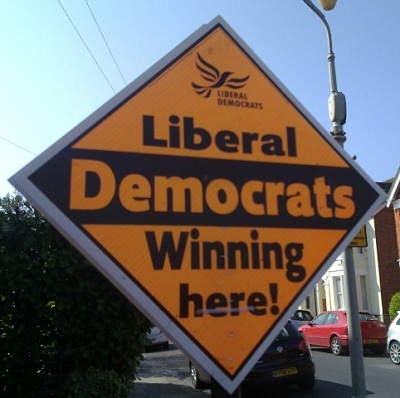 If the polling shows that appointing Vince Cable as Lib Dem leader will lead to a release of copious amounts of electoralÂ endorphins for the Lib Dems, the murmurs to oust Clegg may well become a crescendo. Five years ago, at conference, talk of defenestrating Sir Menzies Campbell gained credence, which led to his wife publicly telling Nick Clegg, “I don’t know whether you are being helpful or not.”Â Nick Clegg will be hoping that history doesn’t repeat itself. Lib Dem voice noted last week,Â Â Nick Clegg is more exposed now than he was in MayÂ because of Vince Cableâ€™s recent hints that he is limbering up for the leadership. William Hill have a market up on whether Nick Clegg will or will not be leader come the next general election. They also have a market up on whom shall lead the Lib Dems at the next election. There are several markets with various bookmakers, on who will be the next Lib Dem leader. Could Cleggâ€™s wealth tax cause trouble for rival parties? How far ahead will Romney be in the RCP poll average on Monday? At the time of writing (midnight) the odds were. To be settled on the Real Clear Politics headline poll average as displayed at midday on 3rd Sep.
How will Paul Ryan’s speech be received? and how will the abuse of a black camera woman by two Republican convention guestsÂ play out? What option will you be backing? If youâ€™ve always been a lurker, why not Â start posting tonight? The round up of the day’s events. Ladbrokes look to recover their losses from the Bradford West By Election. Confirmation that the silly season is now officially open. A tribute to the possible Tory Candidate in Corby? The Republican Party moves on from the controversies of the last week. Some polling on thatÂ perennial PB favourite topic, House of Lords reform.